The front door of your house and the main entrance in the office are natural targets of break-ins. Naturally, you would not want to have your privacy invaded or your valuables stolen so you need to have ample protection for your doors. 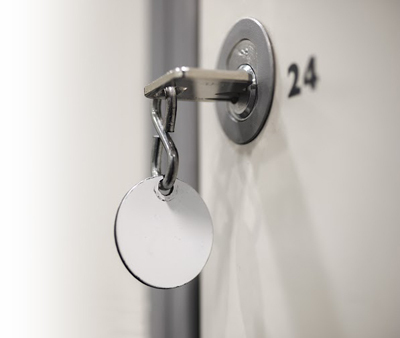 For a house, the minimum number of locks that you should have is two – one which is the regular lock while the other one should be a deadbolt. If you live in a city where break-ins are a common occurrence, you should have even more locks installed. 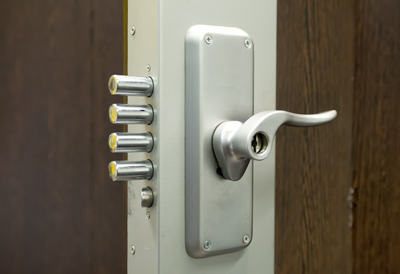 For offices, there should be a proper locking mechanism installed. If there are valuable office equipment and confidential files, they should be well-secured, too. Should I Install an All-in or Separate Door Security System? Typically installed by home security companies or a specialist from locksmith Granada Hills, this is a type of home security system which interconnects the locks and the alarm system. For example, if your front door is tampered with and opened without the proper keys, the alarm system would be activated and the authorities will be notified. Hiring a security company to install such a system may cost you, but you can rest assured that the system is foolproof and the latest in security technology is applied. If you do not have the budget for hiring a home security company, you can simply install the alarm system yourself. Simply make sure that the locks are installed properly. As for the alarm system, you can purchase one from any hardware store and install it at home or in the office yourself. Follow the instructions on the manual and test it out so that you can make sure that it works properly. For the office, you may also want to add surveillance or CCTV cameras or a multi-level security system. Your goal is to prevent break-ins from happening in the first place, so invest in a suitable door locking, security and alarm system.